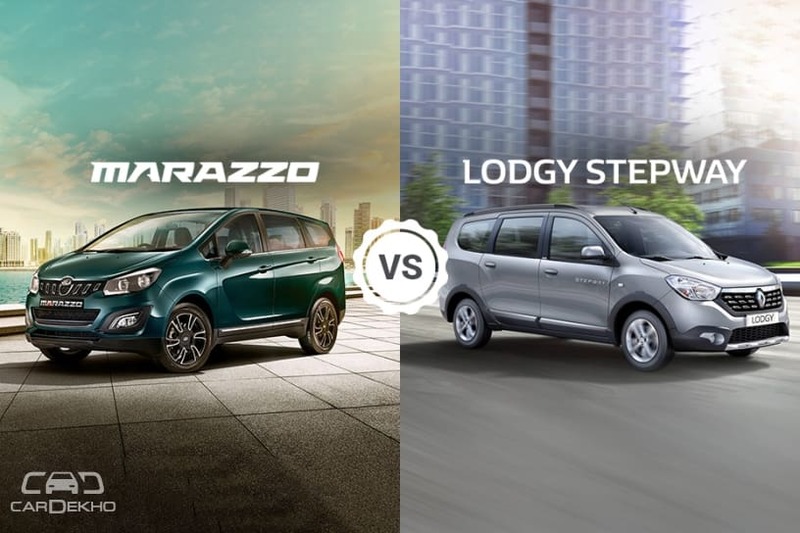 HomeNew CarsNewsMahindra Marazzo vs Renault Lodgy: Which MPV offers more space? The Marazzo is a bigger car than the Lodgy by most proportions - 63mm longer, 99mm wider and 65mm taller too. However, the Renault offering has a longer wheelbase measuring at 2810mm and offers 207 litres of boot space, which is 17 litres more than the Mahindra. Clash Of Segments: Mahindra Marazzo vs Tata Hexa - Which Car To Buy? For our specification comparison of the Marazzo with all its rivals check out this link.